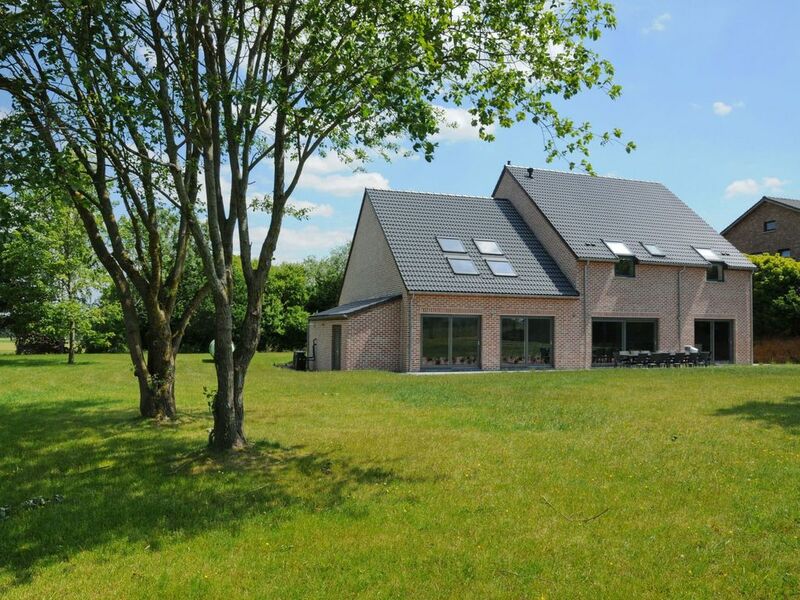 Somme leuze 9 km from Durbuy: Modern villa "Petit Coin de Paradis", surrounded by fields. Outside the resort, 8 km from the centre of Somme leuze. Private: indoor pool heated. In the house: infrared sauna, table football. Shop 1 km, supermarket 10 km, bakery 1 km, bicycle rental 11 km, railway station 10 km, indoor swimming pool 10 km. Sports harbour 2 km, golf course (18 hole) 12 km, tennis 5.2 km, minigolf 9 km, riding stable 7 km, sports centre 15 km, walking paths from the house 100 m. Nearby attractions: Het Megalietenhuis 15 km, Grotten van Hotton 17 km, Fort Castle Museum of Logne 18 km, Chocolatier Defroidmont 25 km, Feodaal kasteel van La-Roche-en-Ardenne 35 km, Safari Park Le Monde Sauvage 39 km. Well-known ski regions can easily be reached: Baraque de Fraiture 36 km. Hiking paths: Palagne 8 km, Durbuy 9 km, Natuurpark Chlorophylle 31 km. Groups of young people and employees are not allowed. The required arrival time is between 15:30 and 16:00. "Petit Coin de Paradis", 5-room villa 385 m2. Modern and stylish furnishings: entrance hall. Open living/dining room with dining table and TV (flat screen), gas heater. Exit to the garden, to the terrace. Open kitchen (4 hot plates, dishwasher, microwave, electric coffee machine). Upper floor: 2 rooms, each room with 1 double bed, hand-basin and shower/WC. 1 room with 3 beds, hand-basin and shower/WC. 1 children's room with 2 x 2 bunk beds, hand-basin and shower/WC. Playroom. Electric heating. Terrace furniture. Facilities: washing machine, dryer. Internet (WiFi, free). Reserved parking at the house. Please note: non-smoking house. This house is suitable for 7 adults and 4 children.